The retail consumer lead process can seem pretty simple when compared to B2B. There is a misconception that businesses do not spend as much time online as consumers, and therefore any type of online lead generation work will not yield enough results to justify the effort. On the contrary, more businesses spend time online than ever before, and the number grows exponentially. As more companies leverage mobile capabilities, the number of online searches, transactions and general business operations will continue to increase. What is your B2B target market? Just as you would develop a target consumer persona, you should also develop a target persona for B2B leads. Consider the revenue size, number of employees, geographic location, type of industry, key challenges and more. Where do your B2B prospects “hang out”? Determine online locations where your B2B target audience is most likely to visit. This can include industry online magazines, trade forums, and social media sites such as LinkedIn, Facebook, Twitter, and other web sites. What are the key search terms for B2B clients? 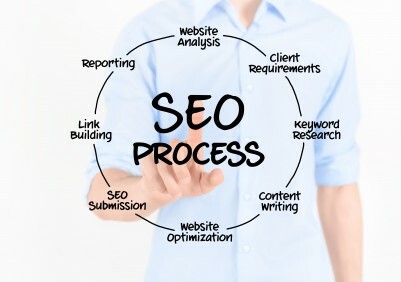 Develop a set of SEO strategies that tailor to your B2B target audience. Tune your web content and other online content to use those SEO terms. Should you consider email marketing and blogs? Both email marketing and blogging can be very well received in the B2B community. Set up a subscription service for sending emails and make regular posts to your company’s blog. Would white papers or Ebooks help? Many B2B managers and owners are doing research on products and services. If you can provide informative and educational content using a white paper or an Ebook you can attract informed businesses that need your products or services.